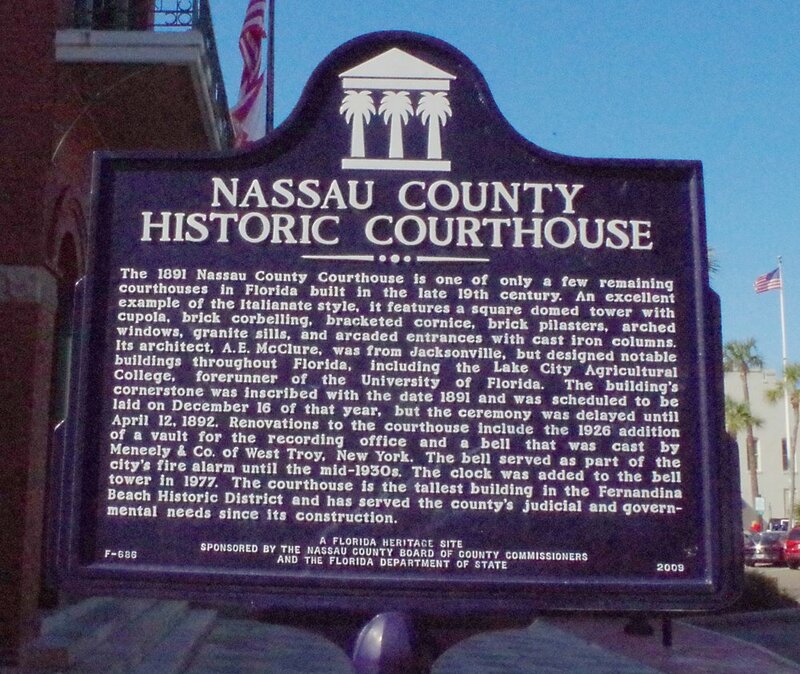 Nassau County is named for the Nassau River, which was named for the Duchy of Nassau in Germany in honour of King William III of the house of Orange-Nassau. 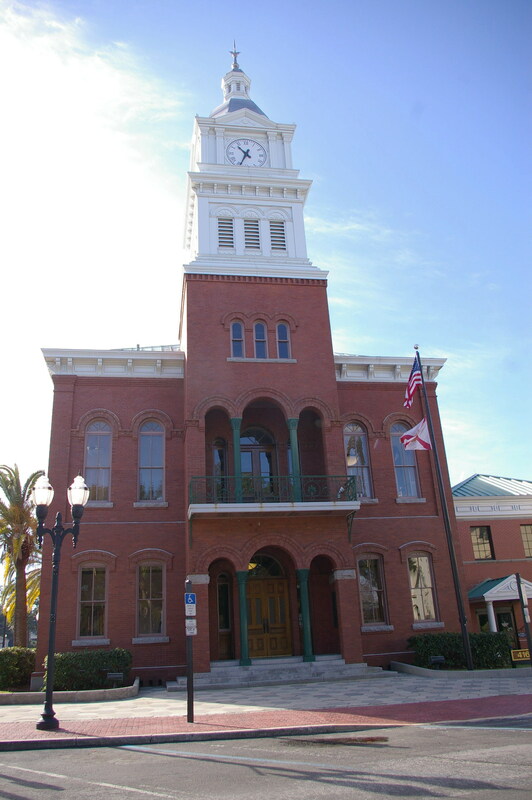 Description: The building faces north and is a two story dark red colored brick and wood structure. 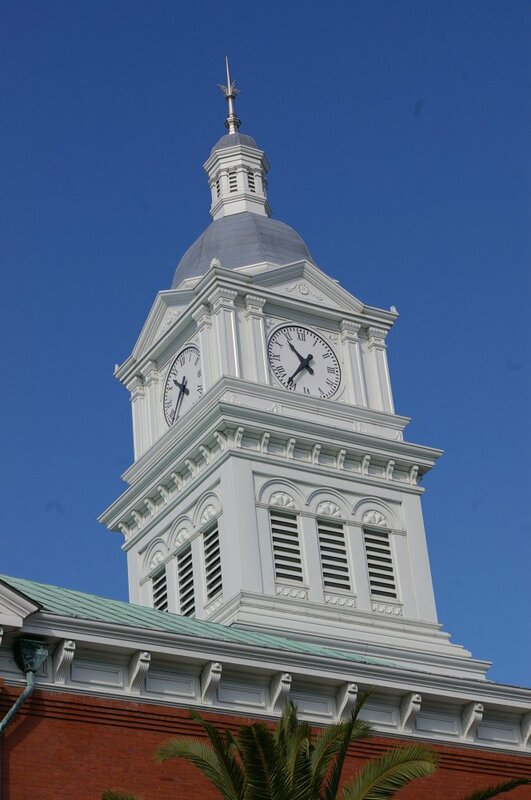 The north front has a high square brick clock tower with white colored wood cupola and clock at the top. 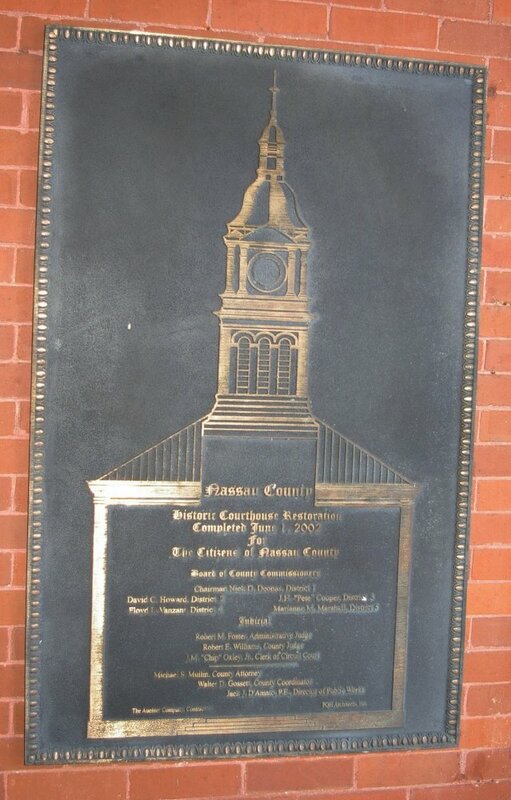 The bell in the tower was cast by Meneely & Company of West Troy, New York. 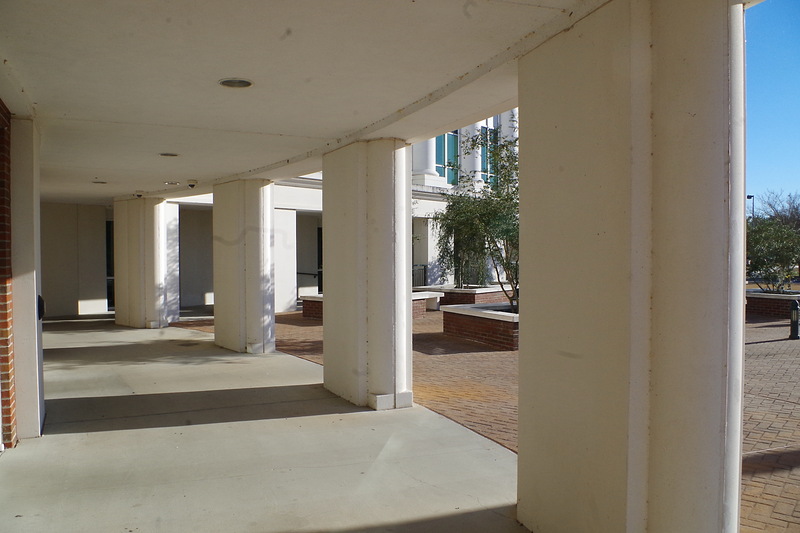 The first story entrance has three arches with two thin columns. 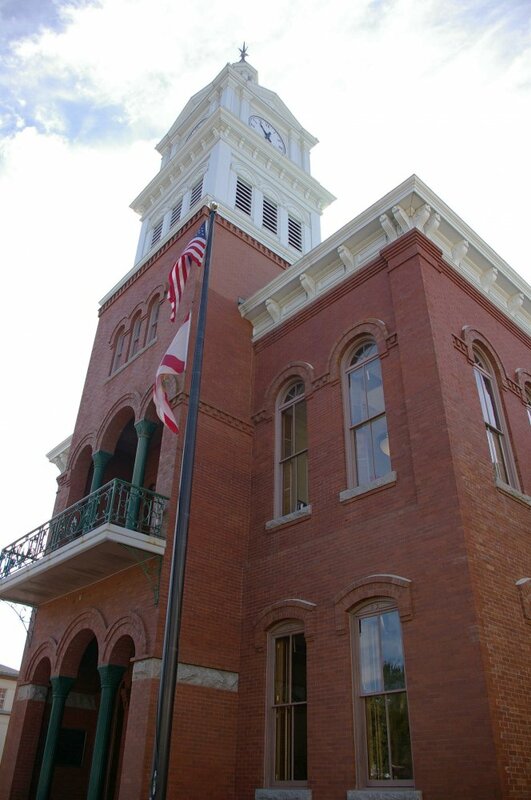 The windows are arched with an arched entrance on the east side. 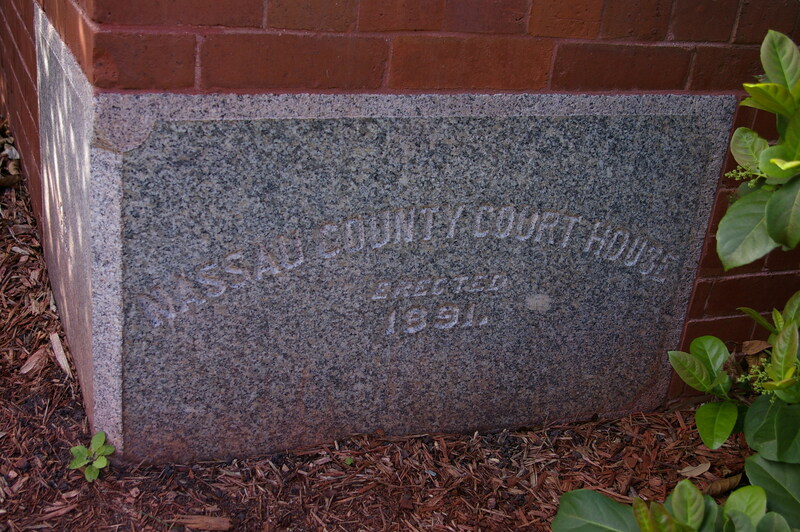 An addition was added after 1909. In 1953 to 1955, a two story brick addition was added on the west side. 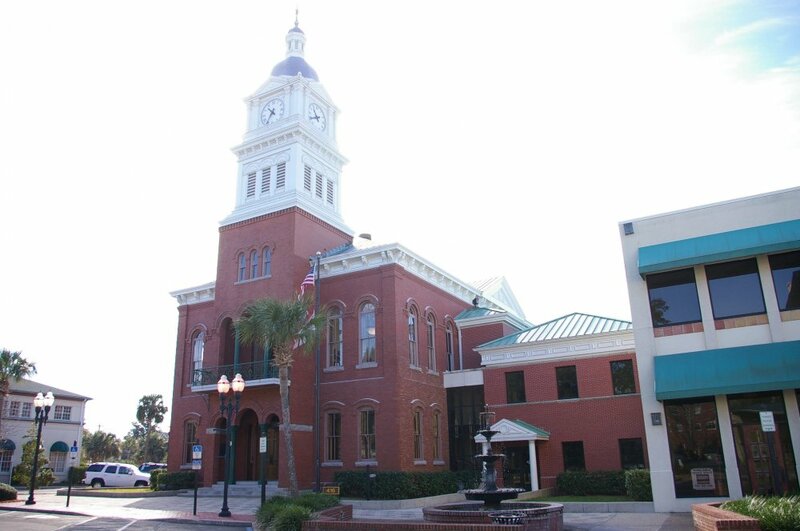 The architect was Abner C Hopkins of Jacksonville and the contractor was Clyde Knowles Company of Jacksonville. The building was renovated in 2002. 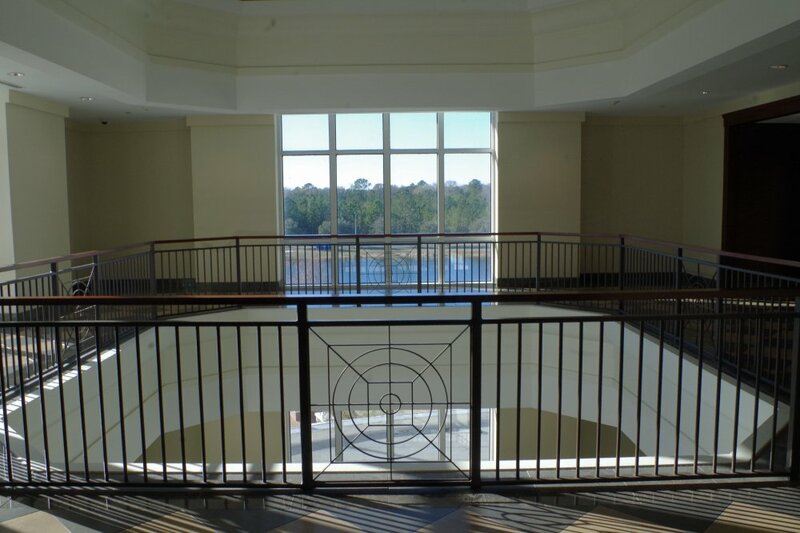 The architect was RQH Architects Inc. and the contractor was The Auchter Company. 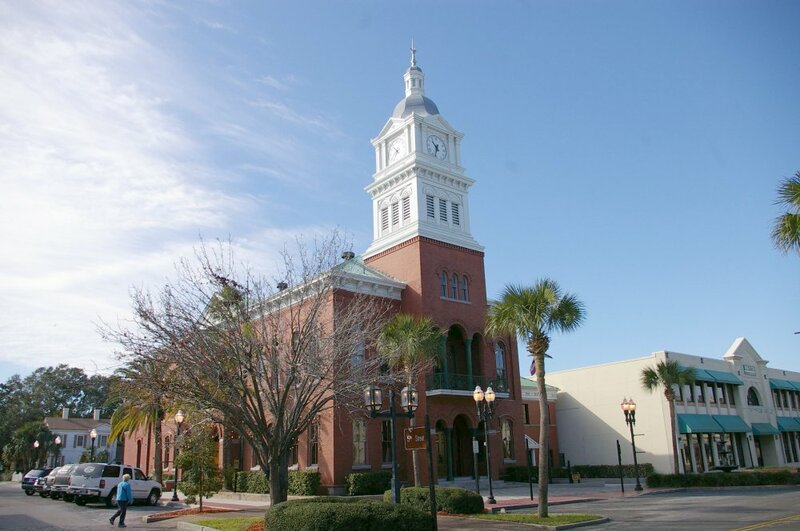 Note: The bid of W H Mann of Fernandina was accepted at $20,614 and the final cost was $25,036. 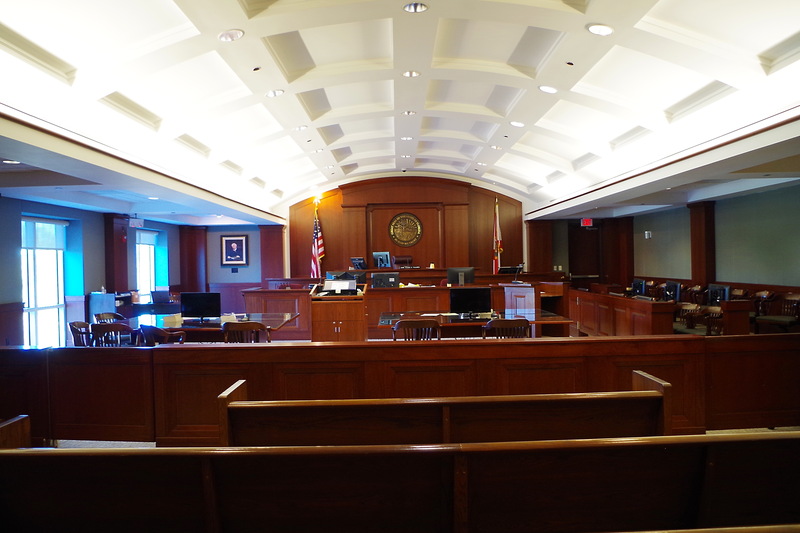 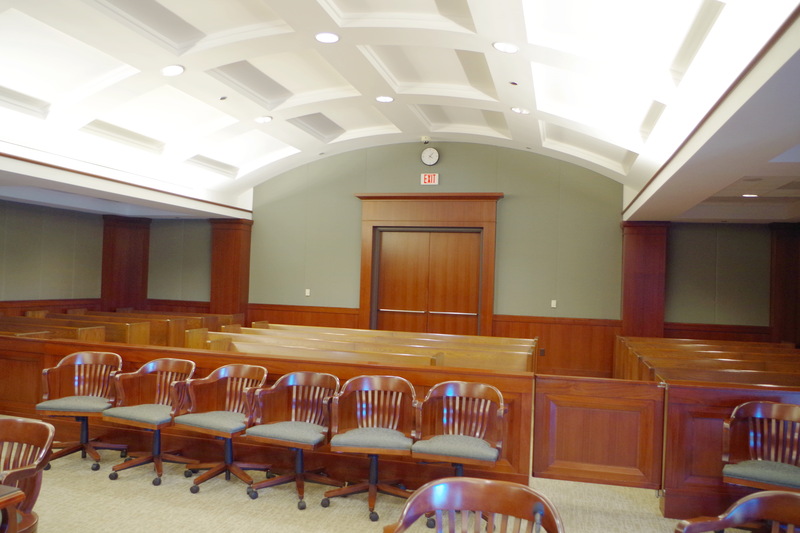 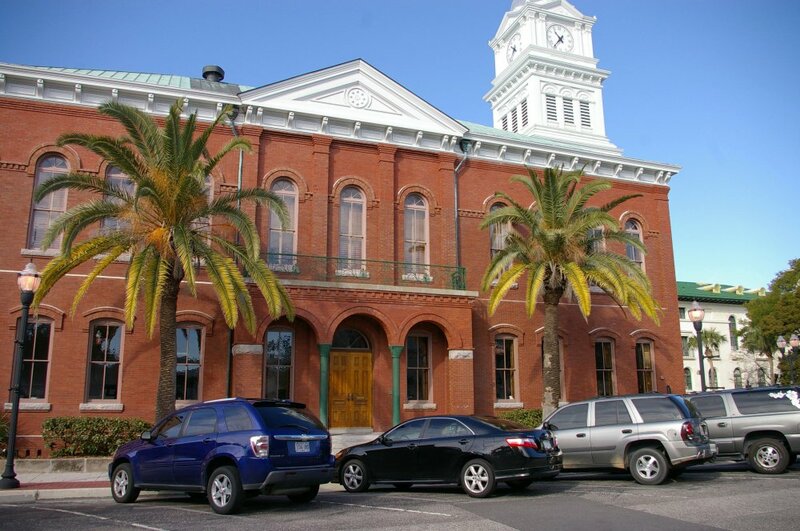 Clark and Loftus furnished the courthouse for $2050 and J W Mason and Company supplied the chairs. 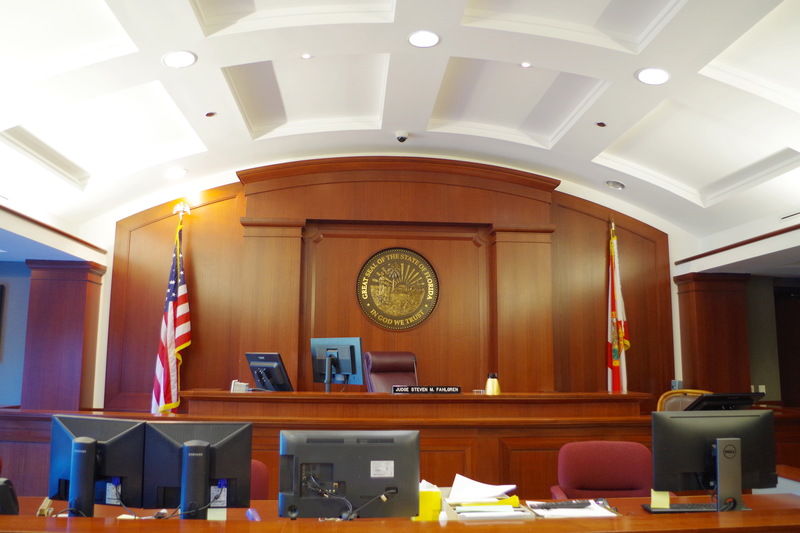 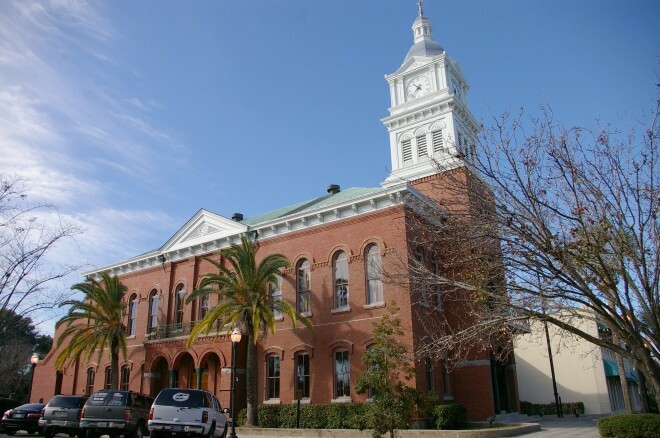 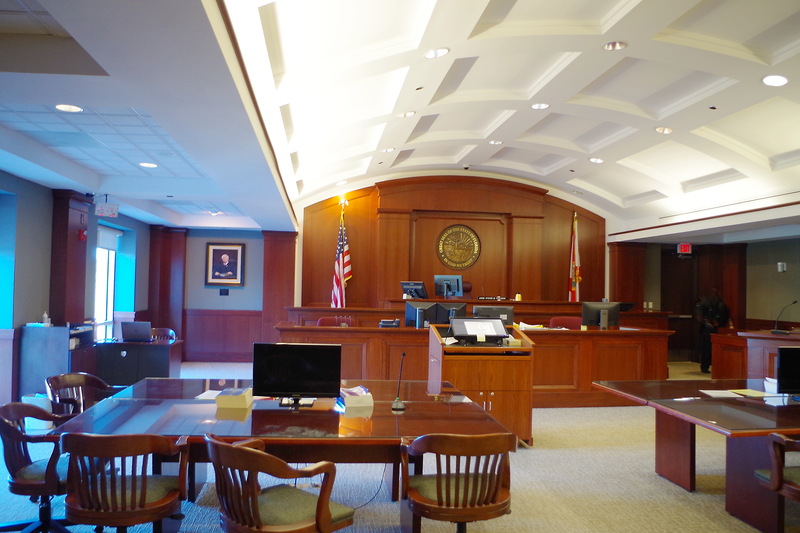 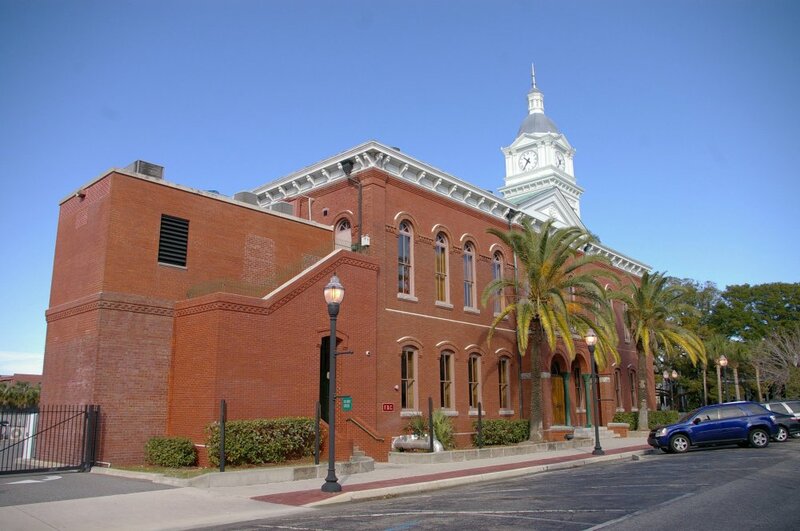 The courthouse is the oldest courthouse in Florida which is still in use. 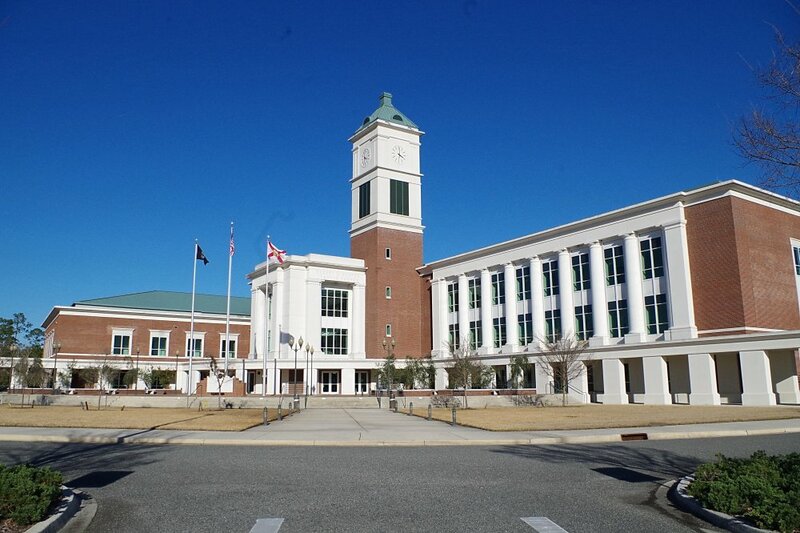 Description: The building faces northwest and is a three story dark red colored brick, concrete and glass structure. 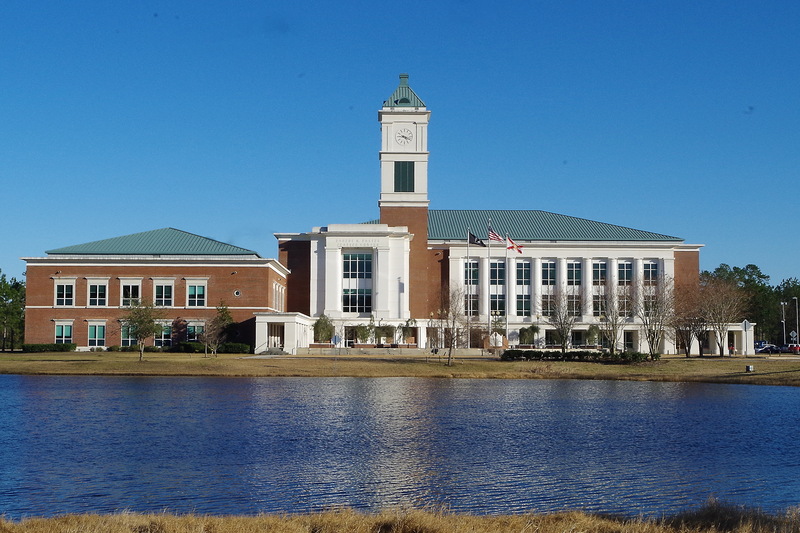 The building is located on spacious landscaped grounds with a pond along the west side. 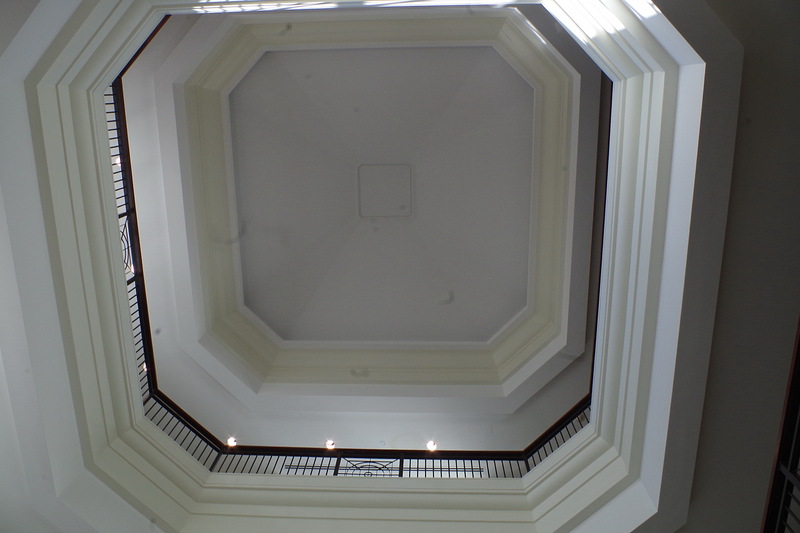 The two wings are organized around a three story atrium lobby and a monumental stairway which connects all three floors. 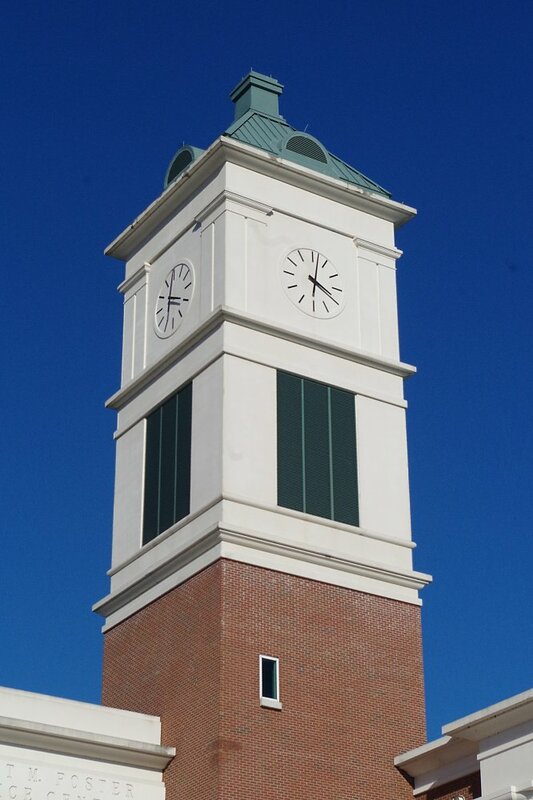 The two wings define a multi level plaza which is highlighted by a 130 foot high clock tower. 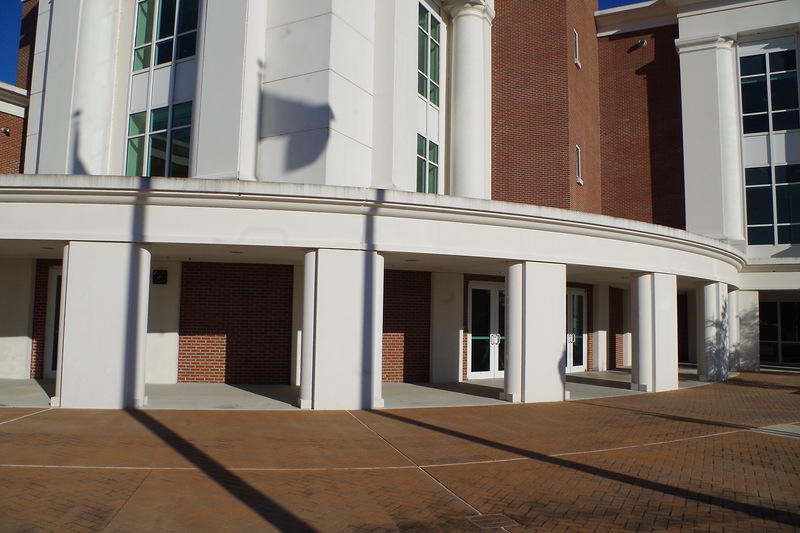 The brick façade is clad with precast trim embellishments for the entry pavilion, cornices, trim and the two story Tuscan classical colonnade. 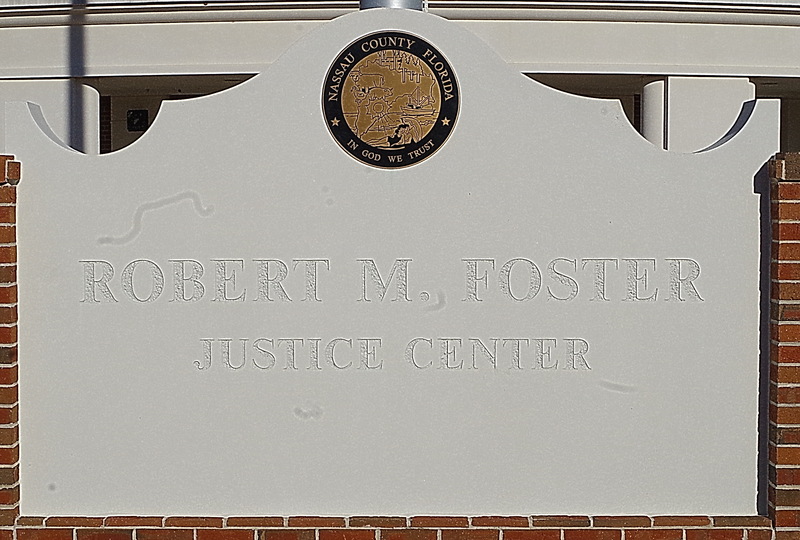 The building is named as the Robert Foster Justice Center.